Breaking boundaries The world today is a complex place of risks and uncertainty. There are however opportunities out there for those who are able to take up the challenges with determination and courage. The Tile of Spain manufacturers are a fine example of such enterprise. In the face of a complex scenario they have found ways to react and tackle the situation, diversifying both their markets and their products. Few sectors of Spanish industry can boast of selling their products to almost 189 countries and in many instances being the main suppliers to those markets. The latest figures indicate that in 2012 we became the world’s second biggest exporter and Europe’s biggest manufacturer. These landmark data give an indication of how the Tile of Spain companies have dealt with the current economic depression. They are exhibiting at more trade fairs every year all over the world: India, Russia, Dubai, Brazil, the U.S. etc. The number of seminars being offered In different cities to raise awareness of the latest innovations and new uses for the products has risen too. These new applications are very evident in the diversity of the entries received for this 12th Ceramic Tile Awards competition, which is judged by an international panel comprised of leading architects and designers. Every year we see how ceramic tiles are given increasing prominence in the projects entered for the competition and how their use is breaking traditional boundaries. FRONT COVER: RIERA DE LA SALUT (SANT FELIU DE LLOBREGAT, BARCELONA). PHOTO: O.M. ESTUDI. RADIATING A LIGHT ALL OF THEIR OWN An infinite number of ceramic tiles with metallic finishes can be found on the market, ranging in style from the most sumptuous and baroque to the most minimalistic and industrial looking. 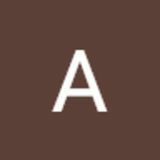 An extensive palette of colors is available too: shades of gold (always glamorous), silver (more sedate), matte and corten steel for an industrial look and shades of copper that add a warm, traditional touch. The Tile of Spain manufacturers have all the floor and wall tiles you need to make your spaces radiate a light all of their own. any different design trends are in evidence today, occasionally used in contrast with each other. The preciousness of the baroque style, inspired by Byzantium, is as much of a trend as post-industrial minimalism. Spainâ&#x20AC;&#x2122;s ceramic tile industry is skilled at responding to any style that may be conceived, any format that may be required and at accomplishing an infinite range of finishes - it is most definitely skilled at creating the tile that will make your space unique. Glossy gold and silver finishes add an extravagant, eyecatching touch to design projects - ideal if you want to be noticed. The 32nd edition of CEVISAMA is set to take place at the Feria Valencia exhibition center from February 11-14, 2014. A new feature this year is that it will be running at the same time as Feria Hábitat Valencia and Fimma-Maderalia, providing visiting professionals with a comprehensive offering. 200,000 m2 (over two million square feet) of exhibition space; 1900 companies and brands on show and an expected 130,000 visitors are just a few of the key figures for “See you in Valencia”. in the field of ceramic tiles, furniture, lighting and textiles along with the top suppliers for the wood processing and furniture manufacturing sectors as well as the industry machinery. Feria Valencia is thus set to host the leading international event for architecture, interior design and decor and will be working to further boost attendance by Spanish and international specifiers linked to the contract market (equipment for business and hospitality facilities), mainly designer, architects and interior decorators. On the second day of the fair, as it is customary, ASCER-Tile of Spain will be holding their international press conference during which they will present the main figures reflecting the industry’s performance along with the strategies devised for the future. Following the press conference and taking advantage of the presence of nearly 100 international journalists, the award ceremony for the Ceramic Tile in Architecture and Interior Design and Degree Projects competition will take place. In collaboration with ICEX Spain Trade and Investment, Tile of Spain is making arrangements for a large group of international journalists from the top publications In architecture, interior design and ceramic tile magazines, to visit the fair. AN URBAN REDEVELOPMENT AND A SINGLE FAMILY HOME WERE THE WINNERS OF THE TWELFTH CERAMIC TILE AWARDS COMPETITION. A JURY COMPRISED OF ESTEEMED ARCHITECTURE AND DESIGN PROFESSIONALS ASSESSED OVER 80 PROJECTS ENTERED FOR THE COMPETITION. 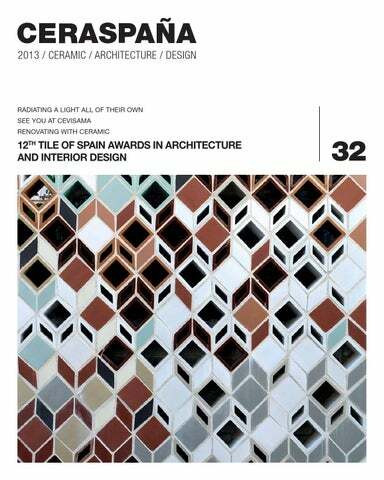 he jury for the 12th Ceramic Tile in Architecture and Interior Design Awards decided to award first prize in the Architecture category to a project titled “Refurbishment of the Riera de la Salut” in San Feliu de Llobregat, Barcelona, by architect Pol Femenias Ureña. The ceramic tile screen has been built along simple geometric lines that, while using the smallest possible number of tiles provides solutions for the different kinds of wall and privacy required. The “Refurbishment of the Riera de la Salut” project (in Sant Feliu de Llobregat, Barcelona) by architect Pol Femenias Ureña won first prize in the Architecture category. Photos: O.M. Estudi. material that is also very strong and will age well despite the onslaught of rain, frost and temperature changes. There was a clear intention to return to using ceramic material as a reminder of the industrial past and also to replicate the earthen walls of the existing patios, by incorporating a screen with a wealth of variations, in the style of a collage of textures and open spaces. What impressed the jury with this project was how it resolved a large-scale challenge by designing small pieces of ceramic that, through repetition and the way in which they have been arranged, have made the project a feature of the urban landscape – the screen and the wall – resolving a range of situations in a unified way. Using an inexpensive material a creative solution was achieved that adds quality and enriches one of the city’s spaces. First prize in the interior design category went to a project titled “Casa Luz. Single Family home in Cilleros” by the young Arquitectura-G practice (Jonathan Arnabat, Jordi Ayala-Bril, Aitor Fuentes, Igor Urdampilleta). The project involved renovating an old country house, maintaining the stone facades and the side walls while creating a new interior around a patio. As the designers have said “there are times when the contemporary approach is not to use latest generation materials but instead take advantage of local know-how and the reliability of natural materials, adapting the design to the economic and geographical context.” The jury was impressed by the architectural solution of inserting a new interior into an existing building, creating an elegant, simple home. The interior has been given a sense of quality by the very precise, coherent use of ceramic tiles which lend it warmth while the textures and construction systems provide continuity with the preexisting architecture, achieving a sensation of unity overall. DEGREE PROJECTS CATEGORY The Ceramic Tile Awards also feature a category specifically for students of architecture that awards a prize to the Degree Project that has made the best use of ceramic tiles. “Casa Luz. Single family home in Cilleros” by the Arquitectura-G practice (Jonathan Arnabat, Jordi Ayala-Bril, Aitor Fuentes, Igor Urdampilleta), won first prize in the interior design category. Photos: José Hevia. using building and structural systems wholly based on ceramic elements. The jury awarded a special mention to the “Refurbishment of the Arnau Thestre in Barcelona”, a project by Laura Bonell Mas of ETSA Barcelona, on account of its sophistication and her rigorous approach to the project. The jury had to consider from over 80 projects entered for this 12th competition before reaching its decision. The red of the ceramic tiles and the bright green of the birch tree are the dominant colors in the house. The ceramic material provides the desired texture and warm color so there was no need for false ceilings or for walls to be painted. The jury awarded first prize in the Degree Projects category to a project titled “Research Centre for the Promotion and Conservation of the heritage of New Gourna (Luxor, Egypt)” by Gohar Manrique San Pedro of ETSA Madrid. RENOVATING WITH CERAMIC: SYNONYM FOR EFFICIENCY In Spain, as in almost all the developed countries of the world, there is a huge complex of obsolete buildings (14.5 million), which along with their respective spaces and public facilities are almost on the edge of collapse. Hugely run down, they do not fulfil the minimum standards of efficiency, comfort and quality that are required today, while the vast majority of their inhabitants do not have the resources to solve the problem by buying a new home. Metallic look ventilated facade by Apavisa PorcelĂĄnico, from the Arch Concept collection, in the centre of Vienna. formats and the possibility of cutting these pieces on site. This makes it easy to find a format that suits the structure of the building. those of ceramic itself, thus providing one of the most efficient options for external coverings available today. Private house in Aravaca (Madrid) the facade of which was clad with large format, 5mm (.2 inch) thick porcelain tiles by Neolith (Colorfeel series, Avori collection). which in turn reduces the use of energy for cooling the building. These solutions also ensure better sound insulation, eliminate thermal bridges and reduce noise pollution by an average of 10%20%. Correcting thermal bridges produces savings of 25-40% in the cost of energy used for heating and cooling. Another of the advantages of ceramic to be considered is the cost of maintenance over the years, which is essentially nil given that external conditions do not affect ceramic tiles and rainwater is sufficient to keep them clean. The El Pilar school in Valencia was refurbished to give the interior a revamp and improve comfort levels by improving the building’s air conditioning usage. Renovation of an apartment block in Leioa (Vizcaya) where the owners wanted to retain the use of ceramic tiles on the facade but with a modern yet timeless design. The tiles are10x10cm (4X4 inches) stoneware, suited to external use (Dune Cerámica, Black Infinity series Emphasis Ceramics Collection). As well as ventilated facades the industry offers a range of tiles that are ideally suited for use in renovation work, such as minimum thickness tiles that can be installed without having to remove the previous covering and raised access floors. Renovation of a single family house in Murcia. Using minimum thickness ceramic tiles made it possible to renovate both the exterior and the interior rooms, without having to remove the existing coverings, thereby avoiding demolition, noise and mess. Coverlam series, 3.5 mm (.1 inch) thick porcelain. Access floor in the Zaragoza Provincial Courts facility. Porcelain stoneware by Pamesa Cerámica, Cosmos series. In the renovation of the Casa del Condestable (Pamplona) by Tabuenca & Leache the custom-made terracottta tiles used are the link between the past and the present. projects, this time from the tenth ASCER Ceramic Tile Awards: the “Casa Collage in Call de Girona” by architects Elisabet Capdeferro and Ramón Bosch. The project involved renovating an old apartment block in Girona and made use of some of the existing elements in the building such as the ceramic tiles, because of their aesthetic appeal and the stone walls and inner patios because they could help make the building more energy efficient. There are currently no boundaries as far as renovating with ceramic is concerned and new uses for them have been pursued, such as in public spaces. A number of projects are currently under way which aim to bring new life to a public space using a material that is sustainable, inexpensive and extremely durable. Work is being done on items for street furniture, pavements, leisure spaces and many other applications that could provide an efficient means of updating many of our avenues, streets and squares. It is a way of involving the ceramic tile industry with society and is a challenge for them in terms of innovation and design as they apply technology to ceramic with the aim of creating innovative products. There are a number of urban development projects in progress today that involve ceramic and are designed to revamp public spaces by using this sustainable, inexpensive, long-lasting material. Casa Collage in Girona, the winning project in the Interior Design category of the 10th Tile Awards. Photo: José Hevia. Tile of Spain was present for the second time in the architecture and construction design show, MADE EXPO Milan (October 2-5). Over the four days of the event ASCER showcased the many possibilities ceramic offers for architecture and design today. The initiative was organized in collaboration with the Spanish Economic and Commercial Office in Milan and ICEX Spain Trade and Investment. UPCOMING EVENTS As usual, the Tile of Spain companies’ agendas are brimming with international activities designed to promote the sector and its products around the world, especially in those countries that offer high growth potential. The Tile of Spain stand included a product display area targeted specifically at specifiers. Tile of Spain seminar held recently at the SCIN Gallery materials showroom in London.